Ep. 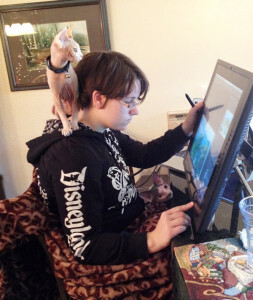 004: Christine Knopp – Illustrator and Instructor for Storm8, Disney Interactive and more! Christine Knopp’s career spans from working in game design to book illustration to teaching at Academy of Art University. In this interview she shares how she worked full-time while also attending school, starting her school’s visual development club, and her first few years in the industry. She also loves cats!